Bob was born at 5 Silvergrove Street, Bridgeton on 12th April, 1937 in a one-room and kitchen flat. The tenements that once were in Silvergrove Street have long since been demolished and the area of the street revamped as Silvergrove Bellway Housing (2000). He was the last of six children born to his parents. Soon after his arrival, the family moved house to a two-room and kitchen at 555 London Road overlooking Silvergrove Street. Bridgeton past was a lively place charged with excitement, and peopled by larger than life characters in their own right. Sure, it was a tough place in which to grow up, but its inhabitants had an overriding sense of humour and got on with their lives as best they could. The majority were hard working and law-abiding. Before the introduction of the Welfare State folk were left to fend for themselves. But the camaraderie among working folk meant neighbours were regarded as friends and, in some cases, extended family even. The last few decades of economic boom and bust have seen a return to hard times. Who can predict what lies ahead? 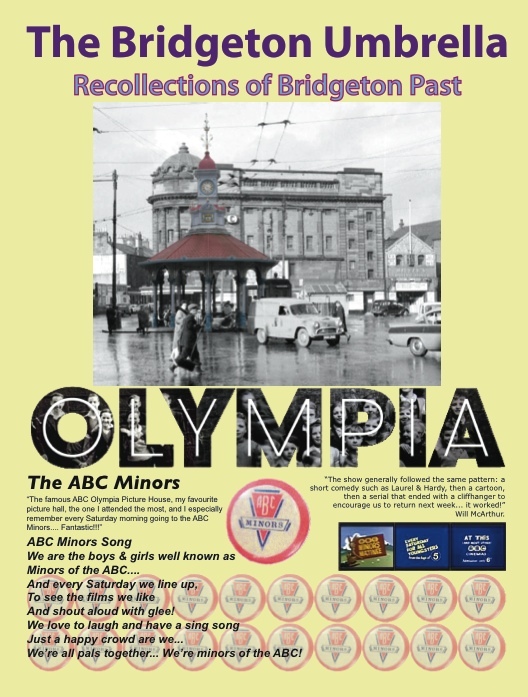 In Bridgeton past, there was work for all, a place where the natural abilities of the population were nurtured through education augmented by programmes of Further Eduction and industrial apprenticeships that fostered professional skills. The district was an industrial hub and for many the centre of their universe. Page 1 of the 8 page document. The Bridgeton Umbrella' was created by members of the Bridgeton Local History Group and friends led by artist Janie Nicol. 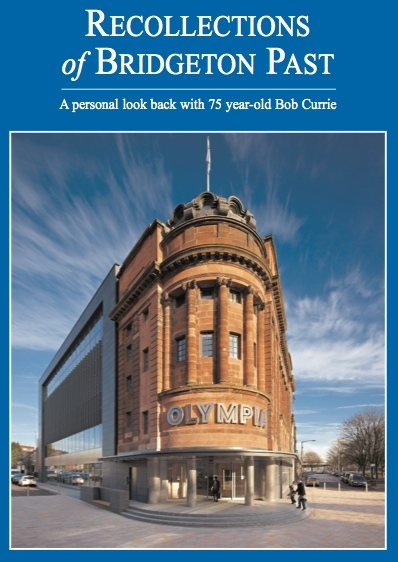 We met at the Olympia Building, Bridgeton Library, working closely with staff at the library and Simon Biggam of Clyde Gateway, who sponsored the group and funded the publication.